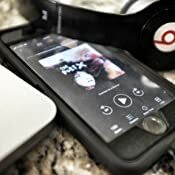 Start reading The Poet X on your Kindle in under a minute. The formatting of this book is gorgeous. The way the poems are structured on the page tell the story and convey the mood of a scene just as effectively as the words. The story is conveyed in a deftly succinct, but rich and moving way. The minimal approach to storytelling really makes the character come alive in your mind. I felt at home in Xio’s head, comfortable and able to understand her heart through the language And pacing Acevedo utilizes like a great chef utilizes familiar but perfectly balanced flavor profiles. If you enjoy great writing and a unique approach to storytelling, you will love this book. 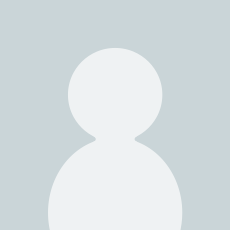 As for my personal experience with The Poet X? Poetry has always felt like nourishment to my soul, but I’ve never felt it pierce so deeply and so directly into my heart as this book and its narrative poetry managed to do. As a Latin blooded teenager, I felt all wrong in my own body compared to my white friends, and I related to Xio’s discomfort in a lot of ways. While she became tough, I became invisible. My story isn’t like hers, except that I too found comfort in words and writing. I found enough connection to move me to tears by the end of this beautiful, heartfelt story about finding your words. I love this book. It has become an instant favorite. Beautiful and moving and earnest doesn’t even begin to cover it. Anyone who has latinx roots, has ever been a teenage girl, has ever struggled to find our voice, or who has a compassionate, empathetic heart should read this book. A friend of mine had been telling me about this book for months and it just released so I had to get a copy for my daughter. I'm into the YA genre so I just had to read it for myself first. What I loved most is the poetry form style in which Ms. Acevedo tells the story of teen Xiomara Batista who is trying to navigate a complex life with New York City as the backdrop. It's a very quick yet powerful read but I got so much out of her story in those 357 pages (not every page is filled to the bottom so it goes quickly). Of course as a mother, I was concerned about certain themes being too mature for my daughter but we talked through it as she read it. It was so beautifully done and cannot wait to read whatever else Ms. Acevedo has in store. 5.0 out of 5 starsIncredible. A must-have YA masterpiece. This is my favorite book of 2018, so far. The power behind the lines in this book is undeniable. I felt like tiny hammers were pinging the words into my heart. I read some pages two, three, four...seven times because they were so eloquent, heavy and impactful. Mami and Xiomara’s relationship is so raw and intense, I felt like I was flinching during so many of their scenes together. This book captures the horrible, painful and metamorphic experience of growing up and magnifies it all with a layer of cultural norms and immigrant narratives. Holy cow. This is the full package. I've read about a dozen novels in verse since I was a teen. If I could, I'd go back in time and give my teen self this book. 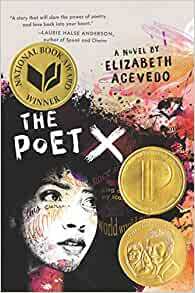 This book is about a Latinx teen girl named Xiomara as she learns to use poetry to cope with questioning her mother's religion & strictness as well as her coming of age. Ms. Acevedo's verses are so amazing that I found myself bookmarking pages or verses that stood out to me. As a poet, I could tell that the author honed her craft well. Not only were the poems powerful, but the story they told was relatable. Xiomara's experience with religious questioning, a strict mother, sexual harassment from her peers, and poetry were things that made me cheer & ache for her. It's been a few years since I last read a verse novel, but this is definitely a new favorite. I loved this as both a reader & a poet and I will be using this book to fuel my own poetry in the future. 4.0 out of 5 starsA beautifully exceptional debut! 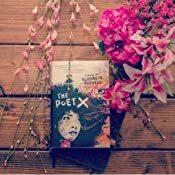 The Poet X is Elizabeth Acevedo’s extraordinary debut novel that speaks from the depths of the beauty and power of the written and spoken word. It is a novel in verse, told in three parts about Xiomara Batista, a 15-year old girl hailing from Harlem. A flyer hanging in the hallway at school catches Xiomara’s attention, calling out to all poets, rappers, and writers for a Spoken Word Poetry Club. Will she have what it takes? Can she speak up and be seen? Will she find her voice? The cover is alluring and powerful and colorfully portrays the defining words that are etched into Xiomara’s very being. Those words hidden inside that affirm her and those that are freeing, as well as those that are vying to confine. She is Xiomara, listen to her voice. If you were looking for that book that you wish you’d read as a teenager, this is it. Now as a 40-year-old woman I am thankful for an honest, relevant read. This is one I can give to my daughters. It leaves me brimming with hope for the ways it will speak to its reader. Hats off to Elizabeth Acevedo for this exceptional debut.